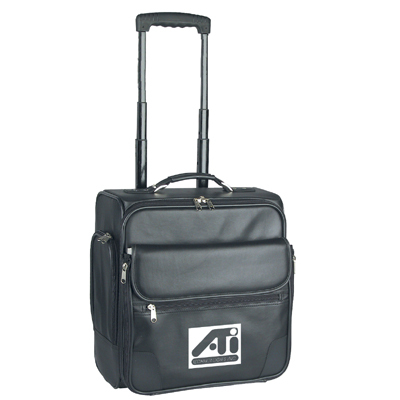 Made of high quality simulated leather with nylon lining. 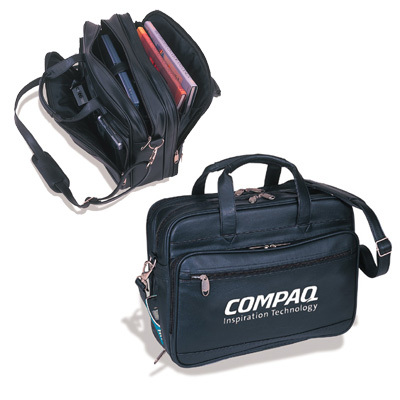 Has a double zippered computer compartment with secure straps, three CD pockets, 3 disk pockets, and a double zippered document compartment. There is also a large 15" x 9" x 1" zippered organizer section with various pockets. Zippered front pocket, zippered cell phone slot on the side. 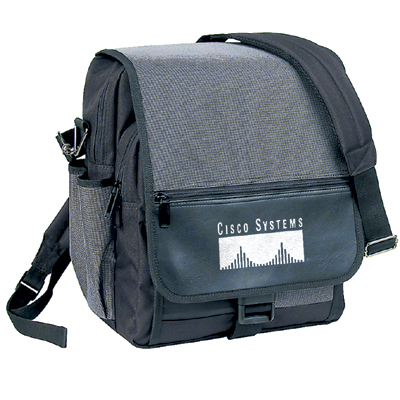 Rear slip pocket with velcro closure that can be unzipped at the bottom to fit on to a pull handle of a roll pack. Completed with handles, adjustable/detachable sholder strap with metal hardware. 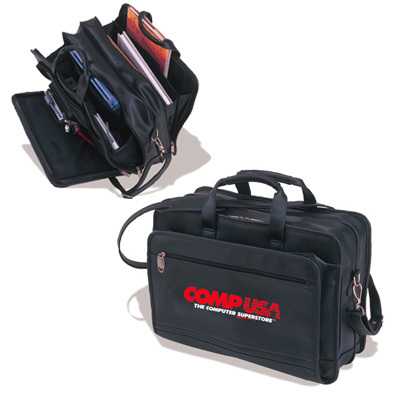 This multi-functional computerpack has an adjustable/detachable shoulder strap, a carrying handle and padded back straps, made of 600-denier polyester, two- tone cross-woven polyester and simulated leather, its main compartment has padded computer pocket with velcro secure strap, two-pocket file holders. There is a large 12” x 11” x 3” middle pocket for accessories and a front organizer for essentials, two velcro side pockets, and a zippered pocket on the flap-over closure.